﻿ Iris Hotel, Gapyeong-gun | FROM $64 - SAVE ON AGODA! Have a question for Iris Hotel? 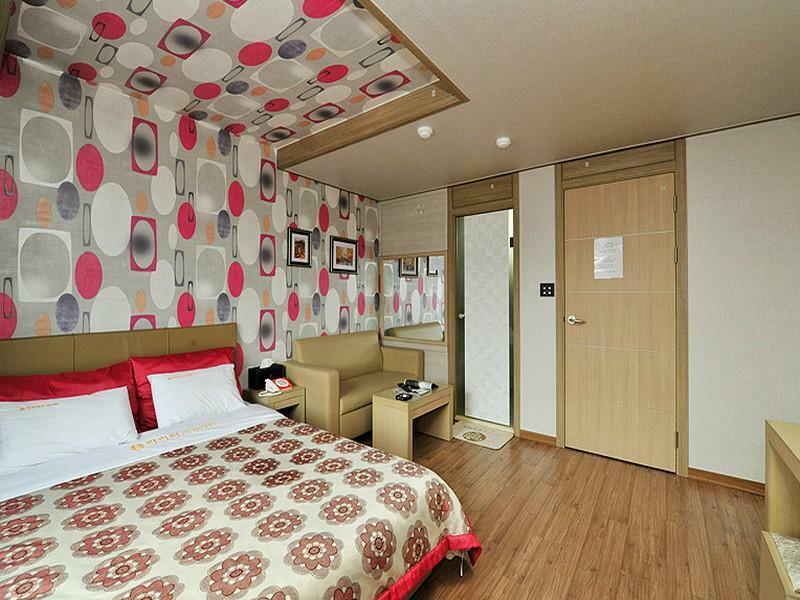 "Great location, right next to Nami island and surrounded by restaurants." "The room was lovely and very clean." "Cleanliness : IRIS Hotel is very convenient and very clean hotel." "Location : Location of this hotel is very near from Namiseom..."
Designed for both business and leisure travel, Iris Hotel is ideally situated in Gapyeong-eup; one of the city's most popular locales. From here, guests can enjoy easy access to all that the lively city has to offer. With its convenient location, the hotel offers easy access to the city's must-see destinations. Iris Hotel offers impeccable service and all the essential amenities to invigorate travelers. The hotel offers access to a vast array of services, including free Wi-Fi in all rooms, 24-hour front desk, express check-in/check-out, Wi-Fi in public areas, car park. The hotel features 31 beautifully appointed guest rooms, many of which include internet access – wireless, internet access – wireless (complimentary), non smoking rooms, air conditioning, heating. Besides, the hotel's host of recreational offerings ensures you have plenty to do during your stay. 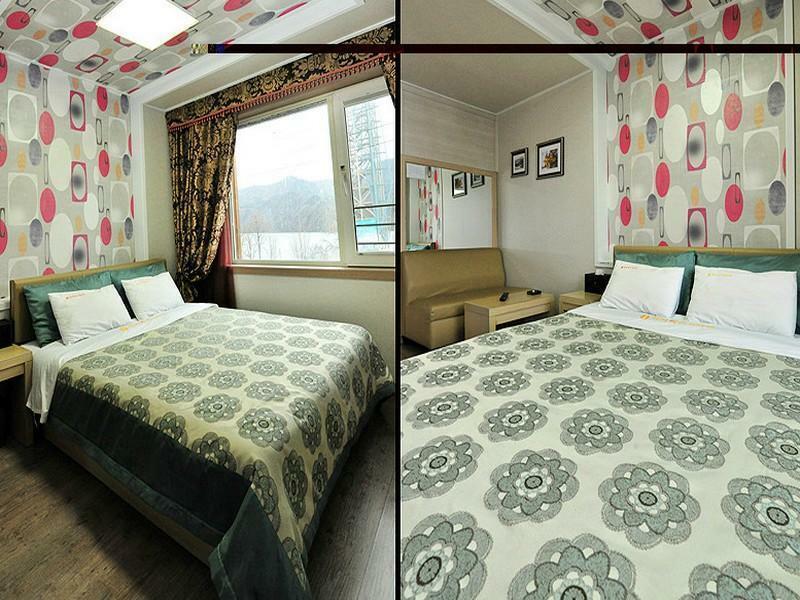 Iris Hotel is an ideal place of stay for travelers seeking charm, comfort and convenience in Gapyeong-gun. "The room is spacious for 4 of us even thou one of us has to..."
This is an old hotel but it’s maintained quite good and clean. The staffs were nice but couldn’t speak English. They tried to fulfill our needs such as calling a taxi driver early in the morning and suggesting restaurants. Bad things around nami was the location became very dead in the night, no store or restaurants were opened, only a convinience store that opens 24 hrs. Very basic hotel no facilities, not even a proper towel, They only provide face towel. Bathroom without warmer, too cold for winter if you travel with young children. This town is dead town after 7pm+, all restaurants are closed. Your dinner can only be at G25 (7-11) and luckily the hotel can help you order fried chicken delivery. Make sure you eat your dinner at downtown area before going back to the hotel. The only plus point is the location which is next to the ferry terminal to nami island. Near the whart to Nami Island, just 2 minutes walking distance. There's no one at the front desk during my check-in and out time. They speak limited English but try their best to make us understand by body languages. The premise is old but clean. They provide mini bath towel. No warmer built-in the toilet bowl, uneasy to do our 'bussines' during winter time. Walking distance to wharf. Near to eating place. The room is spacious for 4 of us even thou one of us has to sleep on floor. We stay for one night. Good enough for us. Somebodys' hairs on the bed. Feel bad. The location is excellent. Only 5min walk to the Nami pier. You can leave the baggage in hotel and continue your journey. The bathroom is not so good. You may get all your stuff as well as yr feet be wet. Stayed here for 3 nights. Great location, right next to Nami island and surrounded by restaurants. The room was lovely and very clean. Location is very near to the Nami Island Ferry Terminal, but impossible to walk from Subway Station: Gapyeong. Many restaurants nearby the Hotel. However, very poor cleanliness where spider webs can been seen all around the main access area of the Hotel including the window area of the room. Moreover, unable to identify visitor through the wooden door of the room and the water released from the bath tub to the floor (without internal piping system) and very slow caused the bathroom flooded. 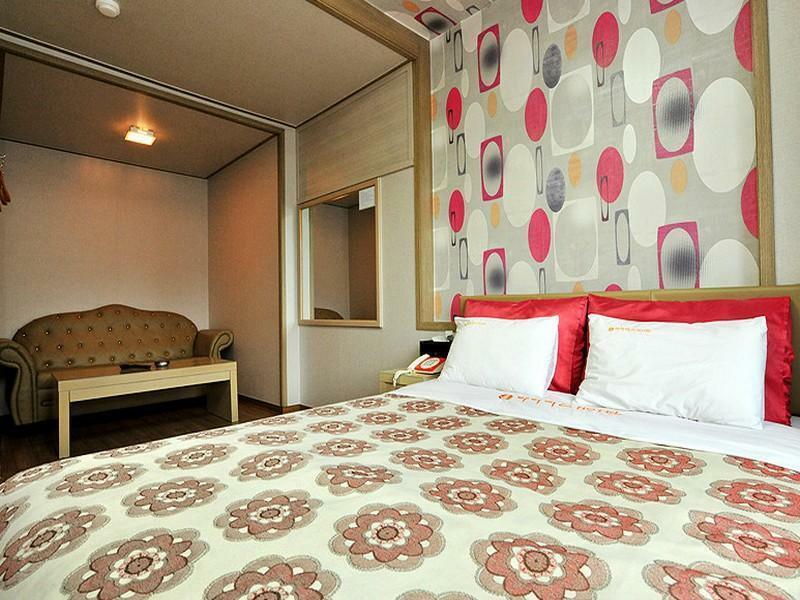 It can be considered for 1-night stay again for the convenient to access Nami Island. We arrived at 12.30pm but was not allowed to check in. Have to wait till 2pm. Room is ok but a bit tired. 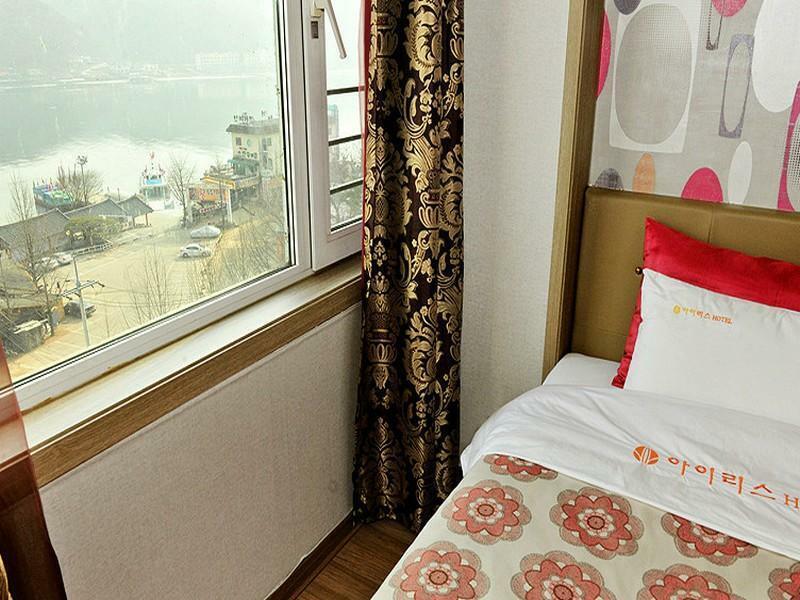 At least the room is facing Nami Island. The external of the hotel needs some cleaning as there are lot's of dead insects and spider web. Staff did not speak English. Only advantage is it is 5 mins walk to the jetty where you can take the ferry to Nami lsland.